I’ve been running on and off for decades now. When I was a teenager, there was a time when my next-door neighbor and I used to run together in the evenings. I had forgotten about that until one day last week, the memory just came back to me. I had a running club way before I even knew what running clubs were. Just call me a trailblazer! When I was younger (and weighed less) I ran more often, longer distances, and I ran faster. As the years passed and the weight accumulated on my frame, I run less but I’m also slower. Sometimes, I feel like I’m just plodding along, like what I do shouldn’t even be called running. 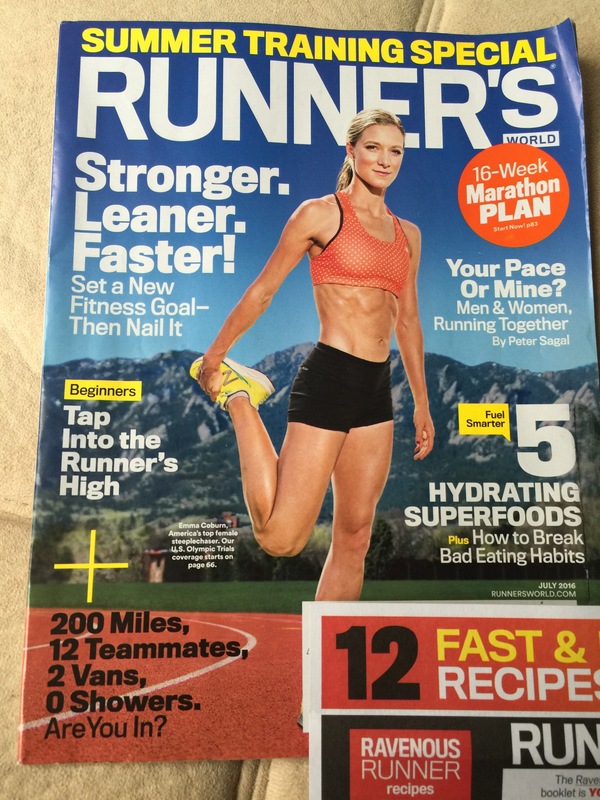 This month’s Runner’s World magazine addresses this very issue. Question: How much does extra weight slow you down? Answer: Assuming you have weight to lose, for each pound you lose, you’l run about two seconds faster per mile in distance races. Theoretically then, with a 10 pound weight loss, your 5K (3 miles) time should improve by a full minute. So if you’re running so slowly it feels like you’re barely getting there (like me), and have been running for weight loss, then maybe all isn’t lost. Keep at it. The good news is that no matter how slowly you’re running now, any consistent exercise plan counts towards weight loss. Run now, and later you’ll be able to run even faster, even better. 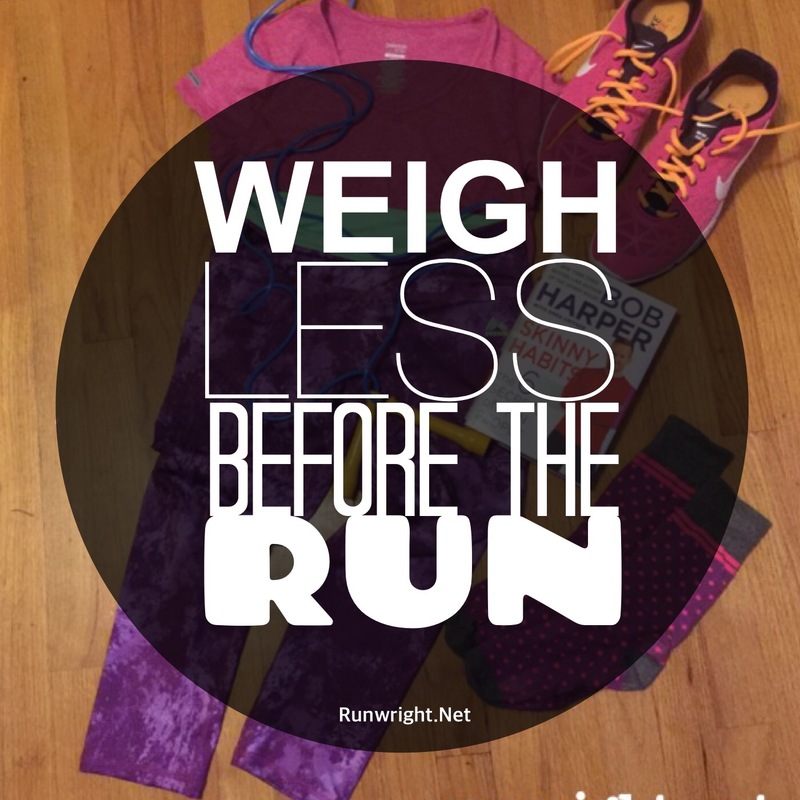 It won’t happen by magic that you get lighter so you can run faster. But consistent, hard work pays off eventually. What’s keeping you motivated today? Find me on Amazon, YouTube, Bloglovin, Instagram and Twitter. I’m not a runner, but I’m cheering you on. I’ve seen people who started running for weight loss and that did wonders for them. Haha… for sure! But I’d never get any sleep. I made a promise to myself that I would be in the host city from 2012 till I can’t travel any more, but I’m missing Rio (super bummer). Tokyo WILL be seeing me.